Since the New Year began, reporting on the housing market has been consistent in identifying that many markets are undergoing changes after many years of consistent white hot conditions. In many ways the changes that are being openly discussed already began more than a year ago but consensus wasn’t yet formed. Now the chorus is getting louder. No more signs to share – but I do have some cool charts below. Bloomberg provided a nice chart on our results for the quarter illustrating the tight co-op market. I’ve got this data back to 1994. The chart shows the compression (faster speed) of the past two years. – The market continued to be characterized by steadily rising prices, and a fast-moving pace. 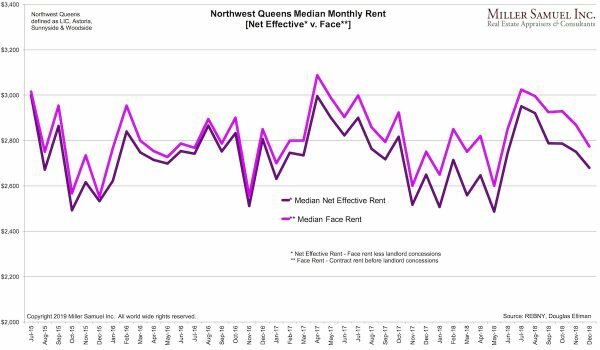 – The Manhattan rental market saw fewer new leases, more concessions, and aggregate prices skewed upward by higher quality rental housing stock. 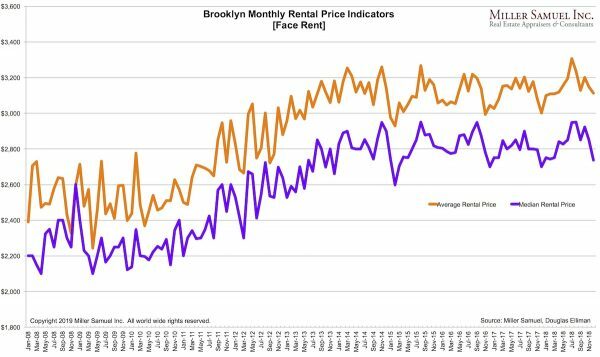 – The Brooklyn rental market continued its trend of rising rents skewed higher by the influx of higher quality new development rentals. – The Amazon “HQ2” announcement has led to speculation that the market will tighten soon if not already. It hasn’t. 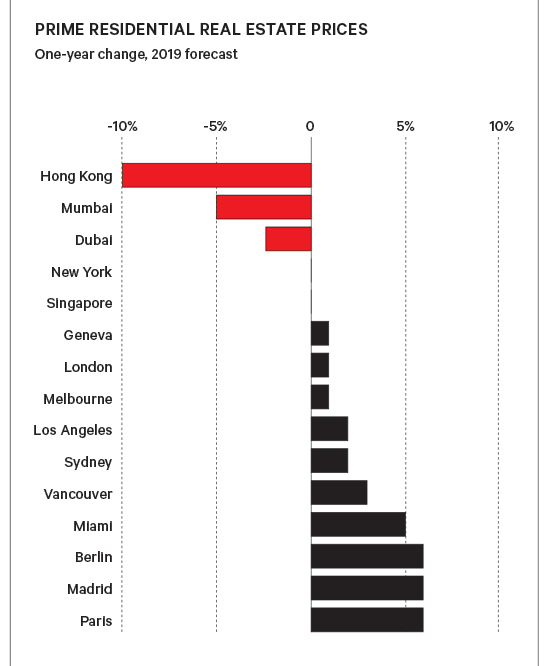 Knight Frank, a global real estate firm affiliated with Douglas Elliman has issued forecasts for 2019 for a number of global cities. Europe (and Miami) are poised to be standouts. 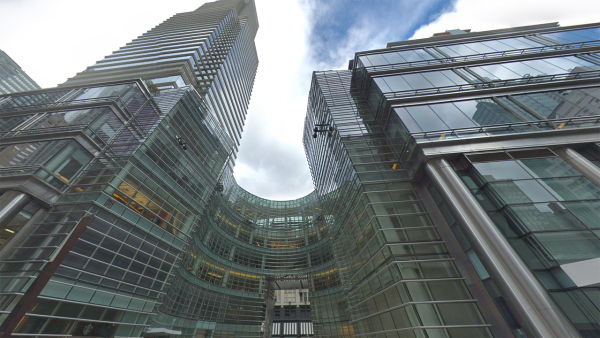 Here’s a Bloomberg video featuring our Elliman Report research on slowing sales. Admittedly I prefer rock music in the background. Please be advised that surveys are one step worse than bad data but NAR is taking an aggressive stance on the impact of the shutdown to the spring housing market. Among those that reported problems, 9 percent said clients who were federal employees had held back from buying, while 25 percent said buyers pulled out simply because of “economic uncertainty,” according to the report. Of those, about half had closings delayed or canceled because customers’ mortgages were backed by the Federal Housing Administration, U.S. Department of Veterans Affairs or the U.S. Department of Agriculture. New report on impact of shutdown from @NAR_Research says what you'd probably expect: Increased economic anxiety is indirectly causing some buyers to delay and more directly forcing some fed employments to suspend plans to buy a home. Uncertainty Still Remains Popular in The Housing Lexicon to the point where homebuilders can’t forecast their outlook for the year. Now THATS uncertainty. The issue isn’t whether we will go into one – we always do eventually. The issue is how bad it will be. Rates are already low so the Fed has less wiggle room to work with since the tax cut was made a time when the economy was booming – generally the opposite moment when a tax cut should be issued. The Indicator Podcast by Planet Money does a great job explaining. Yawn, another $125 Million Los Angeles listing. According to our data, the top 1% of the market had an average sales price of $28,447,888 in 4Q18, a 97% increase since 4Q13. Basically double. This listing cut its price by 61% over the same period. Wow. This AEI study (h/t Ritholtz) is measuring recent market changes across 100 metros. 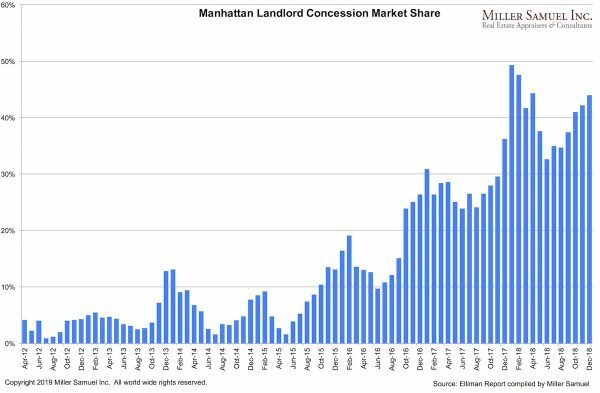 Minimal access to the leverage punch bowl makes difficult for buyers in high price tier (almost exclusively repeat buyers) to offset higher home prices and interest rates. 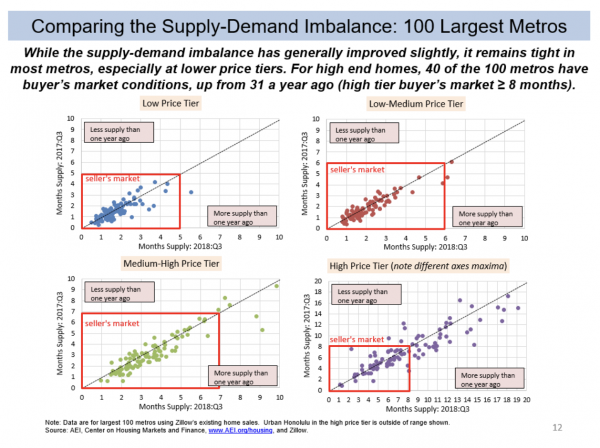 As noted earlier, these buyers have been using quality trade-offs to offset rising constant quality home prices. As a result, 40 of 100 metros are buyer’s markets, while many others are just moderate seller’s markets. One of my friends during college had a mom that was a bit enthusiastic about there living room. It was a shrine. 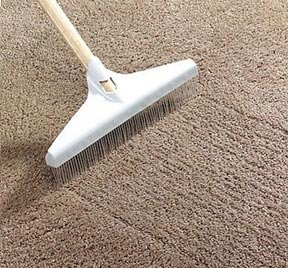 The carpet was “raked” so she could see if the kids ventured into the room where all the couches and chairs with covered in clear plastic. Here’s a good video for agents to better understand how to work with appraisers – wait for the end of the clip. 12-24 Hour Valuations: How Are We Worth So Little? An appraiser sent me the following email. It has become clear to me that the valuation industry that engages appraisers now places more value on the physical inspection than it does the actual valuation itself. They can’t replicate the interior inspection so the valuation portion is where the fee shaving occurs and believe they can come up with the value themselves or find people that will work for wages that won’t attract people who are competent, but rather, people that are desperate. You are receiving this email because you have expressed interest in completing desktop products for Computershare. If you are not interested in completing these products and wish to no longer be contacted, please let me know and I will remove you from our list. We have recently completed a recording of our AppraisalX (Desktop Hybrid Appraisal) and ARA (Appraisal Review) training session and made it available for everyone on our BrickFTP site. This training runs for approximately an hour and covers both products as well as general system navigation within our Acuity platform. This is a requirement to complete, along with a short test, in order to be eligible to receive these assignments. On the BrickFTP site you will find our video labeled “AppraisalX _ ARA Training Recording 2018-09-18” which is in .mp4, .mov, .wmv, or .avi format. These are all the same video, just different formats that your computer or portable device might be able to read. Also included within the BrickFTP site are our training documents: (Three for each product) A completion guide, instructions and an example. This documentation should be downloaded and reviewed in conjunction with the video and testing. Within the video there will be instructions on how to contact us to have the tests sent to you. These tests will be sent through SurveyMonkey, which is a third party site. You are required to get a 90% or better on each test to be eligible. If you fail the test the first time a wait period of a week is enforced before a new test will be sent to you. If you fail the test twice, you will not be eligible to complete that particular product. We do allow you to review the documentation while taking the test, so these are essentially open book tests to ensure you pass. Each of these products pays $50. The typical turn time for the AppraisalX is 24 hours from assignment. The ARA has two different turn times based on the clients’ needs. One is 24 hours, and the other is 12 hours (or basically the next morning). Below you’ll find the link to our BrickFTP site as well as the login information you will need to access the video and training documentation. When you login to the site, click the upper left icon that says “All Files”. This will take you to the videos and documentation. You do not need to download any additional software to view these files. The website does have an option, but we don’t recommend this. If you have any additional questions regarding this, feel free to reach out to me directly. Thank you again and we look forward to working with you! Because firms like this and their clients believe they can reliably value property through automation despite clear evidence they can’t. 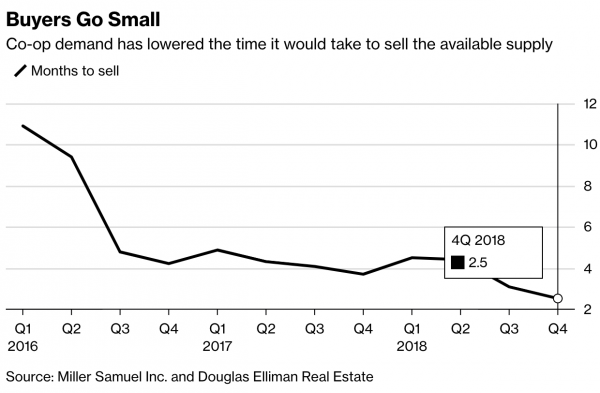 Their clients don’t seem to care about valuation reliability because of the need to drive more lending as profits have waned as well as the moral hazard created by the federal backstop used in 2008. The taxpayers will bail these institutions out. Our industry has a weak voice, largely from a combination of self-loathing, ineffective trade group leadership and the shear nature of the largess of the financial institutions that lobby against us. We are the last resort for the consumer and taxpayer, but ultimately regulatory authorities have yet to prove they care. And I’ll dig out my rotary dial telephone. You’re obviously full of insights and ideas as a reader of Housing Notes. I appreciate every email I receive and it helps me craft the next week’s Housing Note. 'Housing Notes' to receive weekly insights and research. Know someone who'd be interested in this Housing Note? Email it to them!